The Raspberry Pi first debuted in 2012, and since then the single-board computer (SBC) underwent a series of iterations, culminating in the launch of the Raspberry Pi 3 B+. While the Raspberry Pi is a popular single-board computer, there are plenty of Raspberry Pi alternatives Pi Overdose? Here's 5 Raspberry Pi Alternatives Pi Overdose? Here's 5 Raspberry Pi Alternatives You've mastered the Raspberry Pi - now what? Here's 5 of the best Pi alternatives to have a go with next. Read More that provide superb hardware. Nevertheless, the Pi continues to dominate the maker space. In this article, we explore why the Raspberry Pi is more successful than Odroid boards and other SBCs. What Is a Raspberry Pi and What Can It Do? 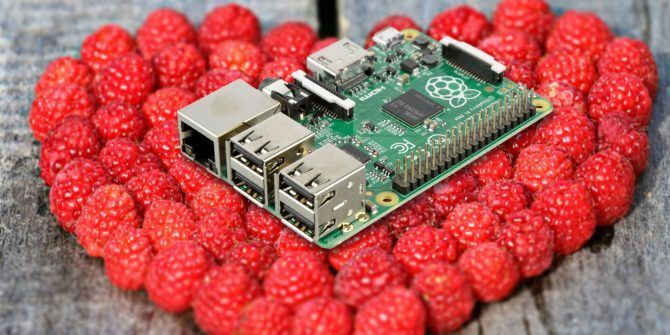 As I’ve grown accustomed to explaining, no, a Raspberry Pi is not a tasty dessert. Rather, it’s a tiny computer roughly the size of a credit card. Onboard, the Raspberry Pi includes all of the components required to function as a PC. Just add an operating system and peripherals such as a keyboard and mouse. A Raspberry Pi makes an excellent foundation as a mini PC running Linux distributions (distros) including Raspbian and Ubuntu MATE. Additionally, you’ll find retro gaming OSes such as RetroPie, Recalbox, and Lakka on the Pi. 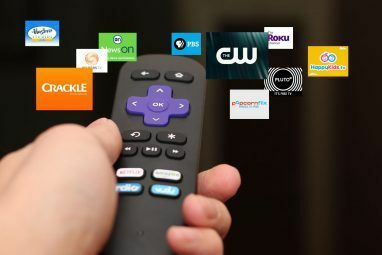 A popular Raspberry Pi project is a low-powered media center with Kodi-based distros How to Choose the Best Version of Kodi for Raspberry Pi How to Choose the Best Version of Kodi for Raspberry Pi Not sure how to get started with Kodi for Raspberry Pi? Here are your best options for an awesome home media center. Read More . Though the Raspberry Pi is arguably the most popular single-board computer, it’s not alone in the do-it-yourself tech space. Among the most popular single-board computers, you’ll find the Odroid XU4, Banana Pi, Rock64, and Orange Pi. Many of these Raspberry Pi alternatives remain compatible with Linux distros, retro gaming or media center operating systems, and even Android and Chrome OS The Best Single-Board Computers for Chrome OS and Android The Best Single-Board Computers for Chrome OS and Android Most SBCs run Linux operating systems well, but some also support Android and Chrome OS. If that interests you, here are the best single-board computers to check out! Read More . The Odroid XU4 for instance yields a performance punch with its octa-core processing and twice the RAM of the Raspberry Pi 3. In its benchmarking, Love Our Pi compared SBC CPU performance and found the Banana Pi M3, Odroid XU4, and Odroid C2 each besting the Raspberry Pi 3 in many tests. Despite plentiful Raspberry Pi alternatives, the Pi remains a top choice among single-board computers. Its main advantages include a low price, tons of community support, lots of Raspberry Pi project ideas, and a bevy of accessories. Considering its widespread use, the Raspberry Pi stays at the forefront of the SBC market. Here’s why the Raspberry Pi is more successful than the Odroid XU4 and other SBC competitors. From websites such as the Raspberry Pi Foundation to the Raspberry Pi subreddit, there’s a treasure trove of community support available. This includes tutorials, reviews, and more, greatly simplifying troubleshooting. Chances are, if you have a question, someone else has already asked and answered it. We also feature plenty of robust articles and tutorials, such as our guide to getting started with Raspberry Pi Raspberry Pi: The Unofficial Tutorial Raspberry Pi: The Unofficial Tutorial Whether you're a current Pi owner who wants to learn more or a potential owner of this credit-card size device, this isn't a guide you want to miss. Read More . Because of its hardware and software options, tons of Raspberry Pi uses exist. From a Raspberry Pi media server to Raspberry Pi home automation Getting Started with OpenHAB Home Automation on Raspberry Pi Getting Started with OpenHAB Home Automation on Raspberry Pi OpenHAB is a mature, open source home automation platform that runs on a variety of hardware and is protocol agnostic, meaning it can connect to nearly any home automation hardware on the market today. Read More , the Pi is immensely versatile. To get started, there are plenty of Raspberry Pi projects for beginners Raspberry Pi Projects for Beginners Raspberry Pi Projects for Beginners These 10 Raspberry Pi projects for beginners are great for getting an introduction to the hardware and software capabilities of the Pi, and will help you get up and running in no time! Read More that are practical and fun, which can’t exactly be said for other SBC competitors. There’s no competition when it comes to available Raspberry Pi accessories. You’ll find everything from Raspberry Pi camera options to Raspberry Pi touchscreen devices, and loads of cases. I upgraded to a Nintendo Entertainment System (NES) model Raspberry Pi 3 B for my Raspberry Pi 3 B+ running RetroPie. On the front, the RetroFlag NESPi case sports functioning power and reset buttons. Yet, Raspberry Pi accessories extend well beyond cases. Indeed, the Pi boasts what’s likely the largest array of case options for any SBC. But it’s maker-oriented add-ons such as Pi HATs that make the Raspberry Pi an adaptable device. Available Pi HATs include power-over-Ethernet (PoE) adapters. Moreover, the Raspberry Pi features plenty of buying options, from the standalone board to comprehensive kits. Its GPIO pins make the Pi a truly utilitarian device. Sure, there are plenty of Raspberry Pi alternatives on the market. However, low pricing makes the Pi a top choice. Whereas the Odroid XU4 retails for $62 for the board alone, a kit costs about $90. That’s definitely reasonable for the hardware, but the Raspberry Pi is ultra-affordable at $35 for a Raspberry Pi 3 board. The Raspberry Pi Zero and Zero W retail for $5 and $10 respectively. Though less powerful than the Pi 3, the Zero and Zero W are ideal for less processing intensive tasks. For even further flexibility, consider the many Raspberry Pi board models The Raspberry Pi Board Guide: Zero vs. Model A and B The Raspberry Pi Board Guide: Zero vs. Model A and B With so many different Raspberry Pi models, how do you know which one to buy? Our ultimate guide tells you everything you need to know! Read More you can buy. From its flagship Raspberry Pi 3 B+ to the previous generation boards like the Raspberry Pi 3 B, and entry-level Raspberry Pi Zero and Zero W, you can snag an option to fulfill any need. Getting started with the Raspberry Pi is only as difficult as you make it. With an image appropriately named NOOBs that includes a smattering of Raspberry Pi operating systems NOOBS vs. BerryBoot: Which Is Best for Installing a Raspberry Pi OS? NOOBS vs. BerryBoot: Which Is Best for Installing a Raspberry Pi OS? Want to install a Raspberry Pi operating system without messing around with image files and SD card writing programs? It's easy with NOOBS and BerryBoot... but which option is best? Read More , a Raspberry Pi project can be as basic as a low-powered HTPC. Alternatively, you can create a full-on wall-mounted Raspberry Pi dashboard Make a Wall-Mounted Dashboard With Dashing.io and a Raspberry Pi Make a Wall-Mounted Dashboard With Dashing.io and a Raspberry Pi Dashing.io is an easy way to create gorgeous dashboards. It's simple to set up on Linux-based machines, meaning you can use it to create a wall-mounted dashboard with a Raspberry Pi. Read More , server, or voice assistant. Because of its popularity, you gain access to countless Raspberry Pi operating systems. These range from Raspbian, Ubuntu MATE, Kali Linux, and even the infamous Hannah Montana Linux to OpenELEC, OSMC, RetroPie, and Windows 10 IoT core. Aside from the base OS, lots of software is available specifically for the Raspberry Pi. You can easily transform your Pi into a server with either software installed within an operating system, or a ready-made image such as OpenMediaVault. Raspbian for instance is packed with pre-loaded software such as Minecraft and Python, and can be used for programming on the Raspberry Pi 9 Best Pi Programming Resources to Put Your Raspberry Pi to Use 9 Best Pi Programming Resources to Put Your Raspberry Pi to Use Because many Raspberry Pi operating systems include development tools, it's a solid pick to learn programming. Check out these best Pi Programming resources to put your Raspberry Pi to use. Read More . Overall, its variety of software, both OSes and applications, makes the Pi a fantastic choice. Compare that to many Raspberry Pi alternatives which rely on third-party community development. The Odroid XU4, for example, is compatible with RetroPie, though the Odroid XU4 RetroPie image is community-created, not an official RetroPie project build. Ultimately, the Raspberry Pi is a versatile single-board computer which affords tons of project ideas and remains compatible with a variety of operating systems and apps. It’s not necessarily the most powerful SBC on the market, but a balance of computing power, flexibility, affordability, and a thriving community make the Raspberry Pi perfect for everyone from beginners to seasoned makers. Try these awesome uses for a Raspberry Pi 20 Awesome Uses for a Raspberry Pi 20 Awesome Uses for a Raspberry Pi With so many cool projects for the Raspberry Pi, it can be hard to decide what to make. In this mega guide, we round up 20 of the very best projects around! Read More to make the most out of your SBC! I do not fully agree that the success of RPi is based on its affordability or accessories. I've worked during 3 years with both RPi and Odroid XU3 on drones and I can say that the advantage of RPi is the stability and fiability of its interface drivers. I2C and SPI work like a charm without any problem during long periods of time. Odroid XU3 GigE and USB3 interfaces never had the right transfer rates. That's the reason why companion boards with Pixhawk flight controllers are all based in RPi and not Odroid SBC. The RPi products have solid kerner drivers well adapted to it's hardware which makes it more than a simple SBC like Odroid does but a SBC for the DIY community. If only it were open-source hardware, it could help countless people understand hardware design fundamentals and lower the barrier of entry to jobs involving things like, say, developing better SBCs.